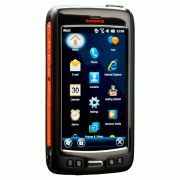 The Dolphin™ 70e Black, Honeywell’s latest enterprise hybrid device, successfully marries the size, style and usability of a consumer device with the reliability and longevity of a traditional rugged hand-held. Engineered with premium materials and clean lines, the form factor of the Dolphin 70e Black elegantly lends itself to personal device usage while also meeting the challenges found in the unpredictable surroundings of the mobile enterprise. Along with the aesthetic details, the Dolphin 70e Black was also built to deliver years of reliable operation. Incorporating Corning® Gorilla® Glass, the device’s touch screen is exceptionally resistant to damage. 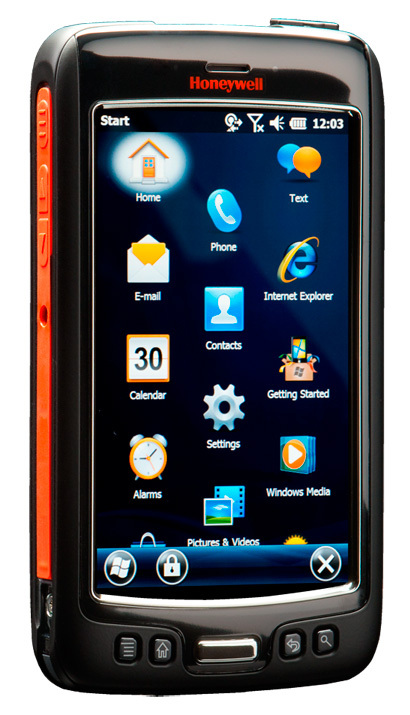 Select models are IP67-rated and hence provide superior protection against water and dust. In addition, the Dolphin 70e can be operated in extreme temperatures as low as -20° C (-4°F) minimizing downtime associated with conditions. Businesses can also capitalize on the flexible platform supplied by the Dolphin 70e Black which can be customized according to use case with Microsoft Embedded Handheld 6.5 or Google® Android™ operating systems. If the Windows operating system is initially purchased, it can easily be transferred to the Android system later on. The crystal clear 4.3˝ display can be seen in virtually any lighting condition, including outdoors, and is equipped with the same capacitive touch screen technology used in advanced smartphones, enabling the use of two-finger gestures for device operation. Further, the offering’s integrated imager provides bar code scanning performance superior to that of the camera scanning applications that are currently available in the market. Compatible with Honeywell’s turnkey remote management solution, Remote MasterMind™, the Dolphin 70e Black can be tracked and managed in real time from any location, reducing the total cost of ownership incurred with mobile deployments. Impeccably positioned where emotional elements and rational demands meet, the Dolphin 70e Black effortlessly enables enterprises to stay on trend without sacrificing performance. Environmental Sealing Options available that are independently certified to meet IP54 or IP67 standards for moisture and particle intrusion. features. If the Windows operating system is initially purchased, it can easily be transferred to the Android system later on. Option 1: GSM (Voice and Data): 3.9G–UMTS/HSPA+ (900/2100 MHz), GSM/GPRS/EDGE (850/900/1800/1900 MHz). Assisted GPS included. Option 2: Software definable (Voice and Data): 3.9G – HSPA+/UMTS (850/1900/2100MHz), GSM/GPRS/ EDGE (850/900/1800/1900MHz) and EVDO Rev A - 1xRTT/EVDO (800/1900 MHz). Assisted GPS included.